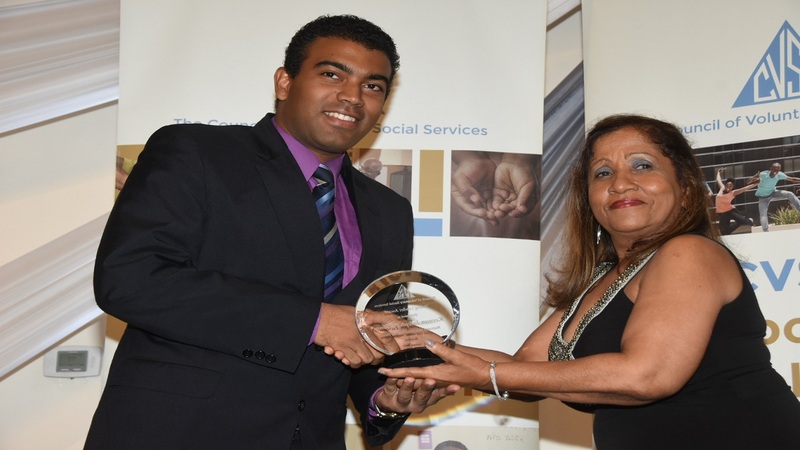 Keenan Joseph Falconer (left) accepts his award from Wanica Purkiss, the Council of Voluntary Social Services (CVSS) Board Secretary. 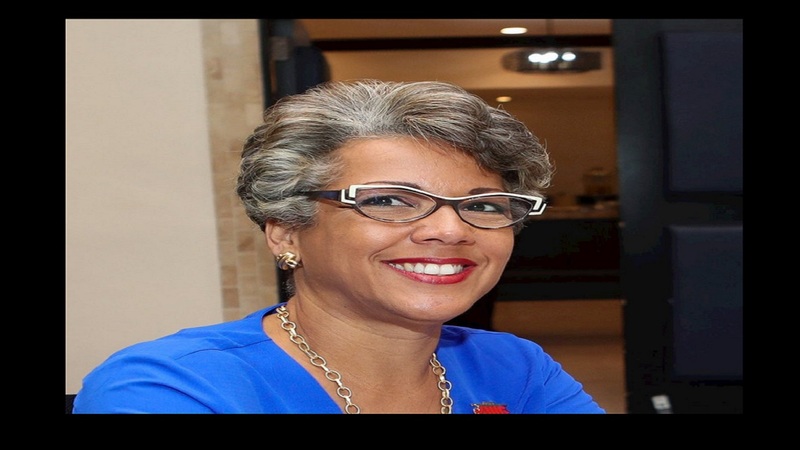 The presentation was made at the CVSS' 2018 National Volunteer Awards Banquet on Thursday, October 4 at the Jamaica Pegasus. Keenan Joseph Falconer has always been a big believer in education as the way to make a difference in the lives of others. His feelings on the matter intensified when coaching his alma mater, Ardenne High School, to victory in the School’s Challenge Quiz (SCQ) competition in 2015. Consequently, the 24-year-old made the decision to give back to persons in troubled communities by helping to establish “Inner-City Quiz” (IQ) - an academic quiz competition designed for children aged seven to 12, who reside in these communities – through the Inner-City Development Youth Association (IDYA). As Chief Judge of the initiative, Keenan promotes unity and peace-building, while providing an opportunity for children from these communities to showcase their educational talents. The programme also allows for the honing of their interpersonal communication skills; the broadening of their knowledge; the building of awareness of the world outside of their community; and, the fostering of healthy rivalry among the participants. This selfless contribution, resulted in Keenan being awarded the Council of Voluntary Social Services’ (CVSS) “Young Leader Award” at the CVSS biennial awards banquet, which was held on October 4 at the Jamaica Pegasus Hotel. 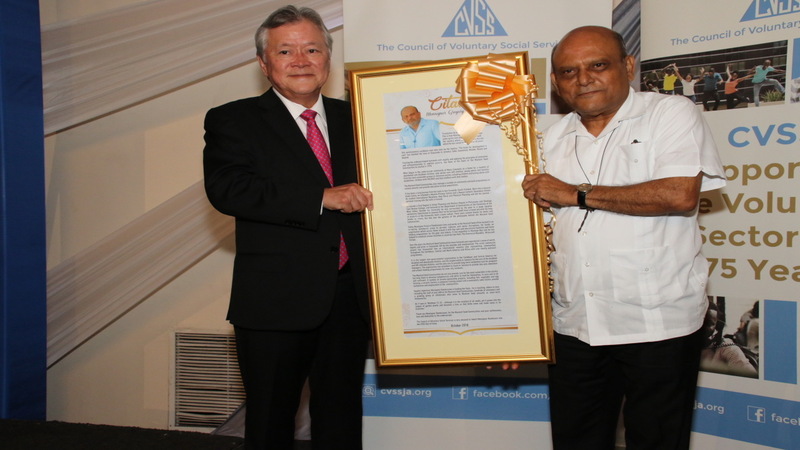 At the same time, Monsignor Gregory Ramkissoon (right), was inducted into the CVSS Hall of Fame. He was awarded by Gary 'Butch' Hendrickson (right) President of the Council of Voluntary Social Services. Click the gallery for more photos from the awards by Llewellyn Wynter. Since its inception on June 6, 2016, over 100 children from eight inner-city communities have benefitted from the initiative. Medals and certificates have been given to each participant on all occasions of the competition, with the most outstanding students from each team being awarded partial scholarships and book grants to further their studies at the secondary level. The impact of IQ is evident. The senior participants have shown excellent academic improvement, with over half the students matriculating to traditional, well-sought-after secondary institutions in the parishes of Kingston and St. Andrew. All four members of the 2017 winning Trench Town team passed their GSAT examinations to attend St. Georges College; the captain of Denham Town team now attends the Merl Grove High School while, the captain of Tivoli Gardens now attends St. Hugh’s High School. “I was pleasantly surprised when I received the award. I know several former recipients such as Aubrey Stewart and Neville Charlton and to be among such esteemed company, is really an honour. I never thought that I could match up to persons like them, as they have been able to accomplish so much,”said Keenan of the recognition bestowed on him by the CVSS. A researcher and economist, Keenan hopes to continue his voluntary work with the intention to do so at a higher level by partnering with multilaterals such as the United Nations, where he can advance his focus on development. “I’m big on development, specifically as a development economist. I would be able to help fight poverty and promote equality and at the same time, try to raise the standard of living for persons through effective policy making. This will give me the ability to capture and reach a large segment of persons,” he explained. 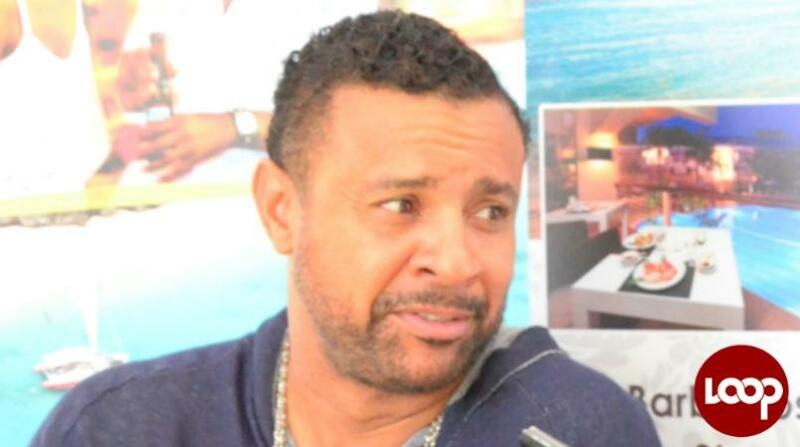 The only child for Debbie and Mervyn Falconer, Keenan encourages persons to volunteer and give back in some way. “Give a helping hand when you can, because you never know when something may happen and you will need help and nobody is there. So one small act of kindness can go a far way,” he stated. Saffrey Brown, chair of the CVSS said that the selection for CVSS Young Leader Awardee was competitive. Keenan, she added, emerged the top selection from the numerous nominations submitted. “His work and contribution in the development of training and education, is exemplary and we at the CVSS are proud to have presented him this award,” she said.